M.S.T. : "We performed a live-in-studio recording in the 08/2007, with guitar bass and drums connected to MIDI expanders (invented more than 30 years ago and sometimes too underestimated, which day by day struggle to survive against pc and related plug-in). We daily work with computers which make our living and give us the money to buy equipment for our first hobby, and we know and understand the great opportunity given by the software applied to music, but this is something in which we are not interested in. What we really want is being able to play live what we record! Only one rule : no overdubs (mistakes included)." 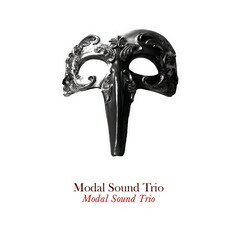 Where do you buy a copy of Modal Sound Trio's last cd? Click here and complete the order!